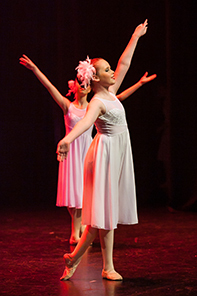 The Edge Performers School is a family friendly dance school, committed to delivering quality training to its students; Achieved by employing qualified, experienced, professional, caring and committed staff. Our timetable is structured in a way that allows students the opportunity to excel in one or more styles with many complimentary classes offered back to back. Classes are fun, engaging and technically focused. We take pride in creating an environment in which students thrive, feel safe and develop correct dance technique as well as meaningful relationships with both teachers and peers. Celebrating 20 years in business The Edge has provided the industry with talents who have performed in shows such as ‘The Boy from Oz ‘, ‘Starlight Express’, ‘Grease’, ‘Wizard of Oz’, Priscilla Queen of the Desert’ and ‘Wicked’ just to name a few. Past students have gone on to perform on cruise ships, Disney, in music clips, back up dancing, commercial dance, circus, television, corporate entertainment events, children’s entertainment and suit work. Many students have used their skills and talents to transition into the fitness and personal training industry (yoga, pilates, PT). Why not come down to our studios and try some classes? Your first class is on us! Click here for our current timetable.